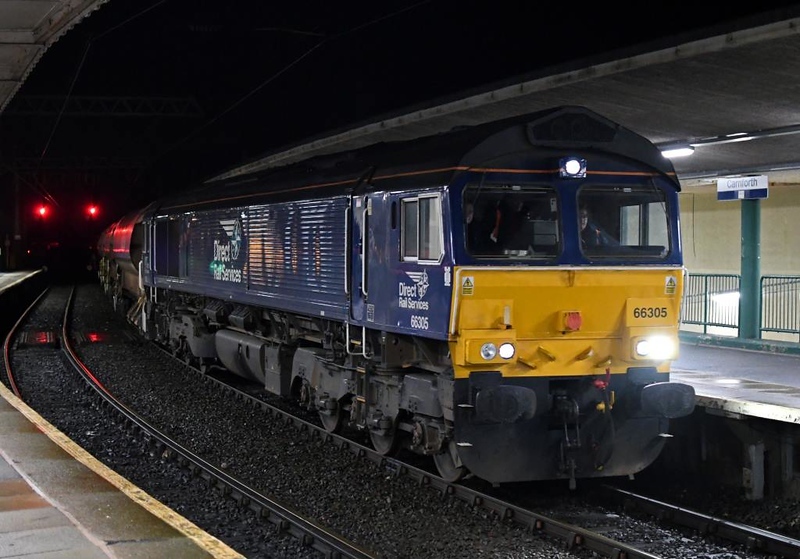 66305 & 66301 Kingmoor TMD, 6C61, Carnforth, Sat 12 January 2019 1 - 2018. DRS's 1822 Basford Hall - Millom engineering train. It comprised HQA autoballasters, KRA sleeper carriers carrying steel sleepers, and a Balfour Beatty Harsco New Track Construction Machine.